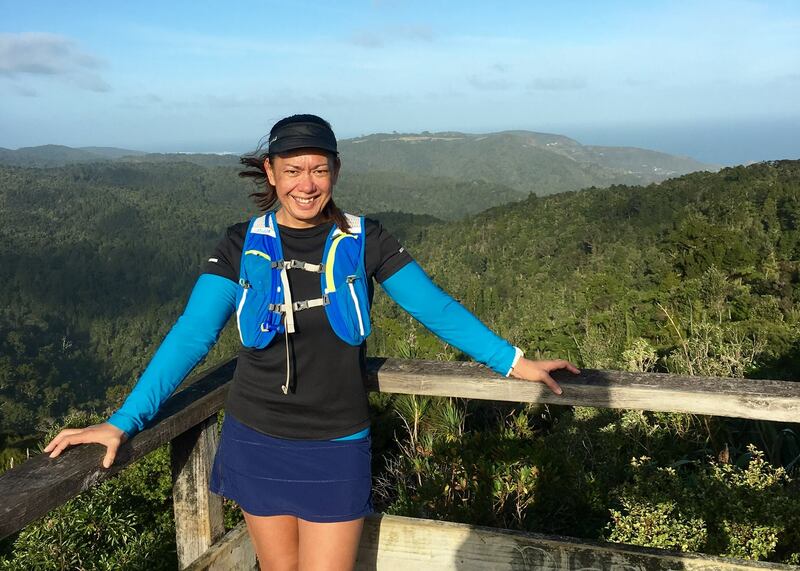 (Walking Track) From the opposite parking area along Anawhata Road, McElwain Lookout Track leads uphill along easy grade to a wooden lookout platform with steps (15 minutes), giving views of the upper Piha Valley and coast to Muriwai. The walk then descends easily on the opposite side to Quarry Track. 1.0km 18min. (Source). I’d been keen to venture to the McElwain track after reading about the Lookout solely for the view! Most online reviews of this particular walk suggest that you park on Anawhata Road. The parking bay is located near the entrance of the Cutty Grass Track (on the opposite side of the road). If I had the kids in tow I would probably choose to park here, however when James and I visited McElwain Lookout it was after running down Cutty Grass Track from Scenic Drive. 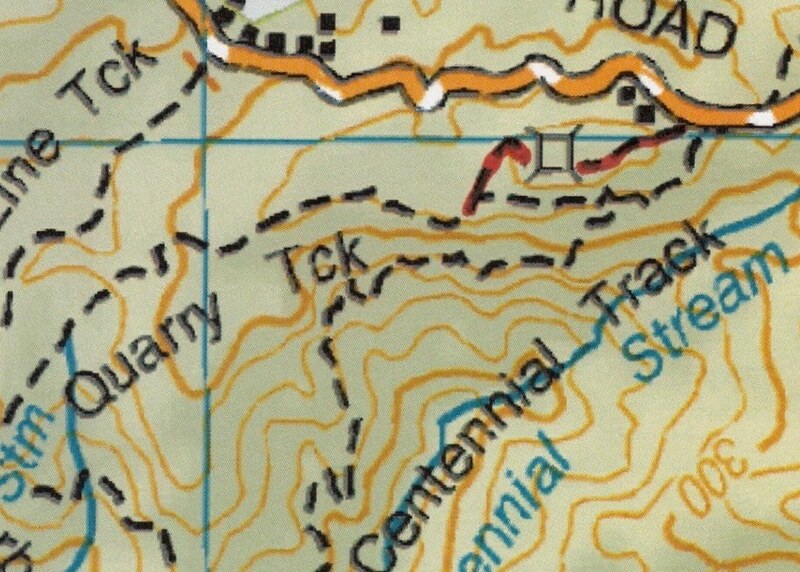 I will quickly point out that (as usual) I got lost, even though I’d seen the entrance signs each time I’d run down Cutty Grass Track and had taken the time to read various reports on the track. I’d even used Google Street view to ensure I knew exactly what I should be looking for – after all I knew I’d be moving at “speed” so it helps to have a clear idea of what to look for ahead of time. Although it’s often referred to as the McElwain Loop Walk it not an actual loop, you’ll need to traverse sections of three different tracks to make a loop returning to Anawhata Road. DO NOT enter the first track entrance you get too instead walk past the small wooden retaining wall to find the entrance McElwain Lookout Track – The sign is tucked around the corner – I have no idea why no one thought to put it ON THE RETAINING WALL so that you can see it from the road. The track itself is varied in width, coverage and surface but overall it’s fairly good considering it’s one of the lesser used tracks in the network – for example we’d just come from a quagmire on Cutty Grass Track to find this track firm underfoot and mud free! Although the lookout has AMAZING views I don’t think that this is a track you do just for the lookout unless you live really near to it – I tack it onto the end of Cutty Grass (or Long Road-Ridge Road) to add distance and the lookout becomes an added bonus. Many other people use it to get from Anawhata to Piha (or vice versa) – I have yet to venture that far as Piha is another place I find a P.I.T.A to get too, which is why explored less than a handful of tracks in the Piha Regional Park .. Parking? – Yes! There is quite a large parking bay at 75 Anawhata Road. Toilets? – No, the closest I can think of would be those on Scenic Drive at the beginning of the Fairy Falls trail. If you are in the area you should definitely take a short detour and check it out ..